In the 1970s and 1980s much of the focus of environmental law, in the US and EU, was on toxic substances, and in particular the disposal, spillage, leakage and releases of these toxic substances into the air, water and land. Such experiences led to the passage of a plethora of environmental regulations and laws to address these risks to health and the environment. 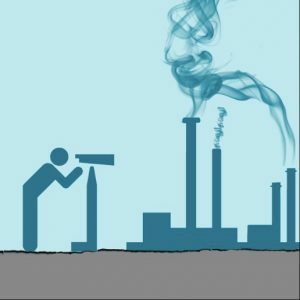 While these toxic releases remain serious threats, for the past several decades there has been a shift in focus to energy issues and the intersection between environmental and economics issues (e.g., price signals for emissions, valuing biodiversity, global trade policies impact on environmental resources). The interest in energy is of course closely related to the pressing problem of our generation, and those who follow us: climate change impacts from the burning of fossil fuels. That interest centers on both the sources of energy (renewables and fossil fuels) and the delivery of energy (grids and distributed and community systems). The expansion of the EU, in part by the addition of more conservative, at times reactionary regimes, has also complicated the governance issues that are evolving within the EU over environmental issues. Such issues were reflected in a recent Annual Conference on European Environmental Law organised by the Academy of European Law (ERA) in Trier Germany in March 2017. The conference focused on the latest policies, legislation, and case law on climate, energy and emissions. The ERA is an organization founded in 1992 to help train judges and lawyers in understanding and applying EU law. Note 1. It is never easy to write a report of a several-day conference on a series of technical issues presented by numerous experts in the field. Just keeping track of who said what is a challenge, and keeping up with the flow of policy analysis, arguments, and exchanges between presenters and with the audience is most difficult. It is likely even more frustrating for the speakers who have to be satisfied with short-handed glimpses of their presentations. So what follows is a sense of some of the most pressing issues that were discussed at the conference, and some ideas about directions that environmental law is heading these days in the EU. The session was started by Dr. Frank Heseler from the European Commission DG Energy who forthrightly acknowledged that he was there to present the company line on the Commission’s proposal for new consumer-centered clean energy. While he did indeed present the Commission’s approach, throughout the conference Heseler participated fully in discussion of other views and approaches, always indicating that he was asking questions and comments in his personal capacity and not for the Commission. His participation and openness to other views was helpful. 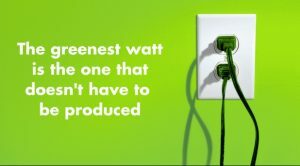 Heseler argued that of course the most sensible approach to clean energy is not to produce the energy in the first place by adopting energy efficiency measures. The EU has adopted energy efficiency targets to be achieved largely through application of the Renewable energy and Building Directives. These targets are set for the EU but not for individual Member States (MS). In order to assure that the EU itself achieves its targets for energy efficiencies and renewable energies it has had to adopt a new “governance” measure to assure that individual MS are contributing to the EU targets, even though they do not have binding targets themselves. The core of the new governance measure is the requirement for MS to prepare draft National Plans for achieving energy efficiencies and growth in renewable energies to allow the EU to meet its 2030 targets. Heseler explained that if the Commission’s review of the draft plans indicated an “ambition gap” — the 2030 targets could not be met with the implementation of the draft MS plans —then the Commission could and would make suggestions or recommendations on how the Ambition Gap could be closed. If the final National Plans did not indicate the Gap would be closed, then the Commission could take further action including additional measures to be implemented. What that further action would be is open to question. The Commission could make more recommendations to individual MS or take further legislative action. If only a few MS were derelict in closing the Gap, the Commission would unlikely propose further EU-wide legislation. Another remedy could be infringement actions including fines against individual MS. Others in the audience pointed out that the Commission’s record in enforcement actions is not encouraging. In response to questions from the audience, it seemed clear that there would be no opportunity under this governance procedure for public consultation under the Aarhus Convention or other means. Patrick Thieffry, a lawyer and Associate Professor at the Sorbonne School of Law, continued the focus on renewables and energy efficiency after the Paris Agreement. The Paris Agreement delivered a set of Nationally Determined Contributions (NDCs) which have a somewhat amorphous legal shape, what Thieffry calls “soft” law but which can also be called “fuzzy” law. The NDCs represent attempts by the global community to reach an increasingly elusive goal of holding global temperatures to a 2°C rise, or lower, over pre-industrial levels. As Thieffry described the process, everybody at Paris wanted a strong climate action but it was widely recognised that there was little consensus for forcing such action. So we ended with the NDCs which are more aspirational than enforceable. Yet while they are not binding targets, they do have some informal power in that they are international commitments that are part of an agreement that requires they be issued and reviewed and renewed every five years, with the expectation they be strengthened each five years. While no firm legal enforcement mechanism is in place, public pressure through naming-and-shaming those not doing their part may be useful. Thieffry hopes that, “… failure to act or inappropriate action would in itself somehow be a legal concern, under international, but also regional or national law, so that Courts of competent jurisdiction may step in and draw consequences for deviations according to their respective legal systems.” Emphasis added. His hope is not without some basis in practice as he mentions the recent Dutch national court decision that ordered the Netherlands government to do more for reducing greenhouse gas (GHG) emissions. It is our understanding that the decision has been appealed by the Dutch government. Thieffry also reviewed the “governance measures” discussed by Heseler as means of taking action to move global climate action along. While he argued that these measures have some teeth, he also acknowledged that the Commission infrequently invokes infringement actions and the threats of massive fines most often results only in extensions for more time to comply than actual fines. Also on the issue of energy matters, Peter Rottmann, Legal Adviser to the Grid Expansion Department of Germany’s Federal Network Agency, Bundesnetzagentur, reported on Germany’s current plans for transregional power supply lines as part of the ”Energiewende.” In particular, Rottmann walked us through the various stages and requirements of the Grid Expansion Acceleration Act. The grid expansion has been necessitated by climate change and the nuclear disaster at Fukushima, Japan. 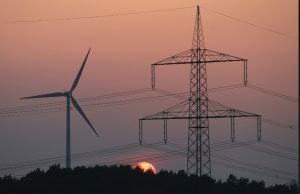 As a result Germany is committed to relying on renewable energy sources for the majority of its electricity generation. A major challenge is moving the renewable power from where it is generated, in the north of Germany, to the large urban and industrial areas where it is consumed, in the south. Instead of relying on large nuclear and coal-fired power plants located in the south and west, near consumers, a larger number of smaller plants fed by wind and solar and biomass is needed, and these have to be built across the country where the renewable sources are located. To an extent, the grid system is becoming decentralized. This challenge has also opened up opportunities for transforming Germany’s grid system. One result has been the expanded public participation. Rottmann effectively described the many points along the way of the grid expansion where the public is entitled to and does actively participate, from the early framing of the transmission system needs by the system operators, through the development of national plans and environmental reports, application of federal requirements and sectoral and regional planning, to final approval. This extended public consultation includes consideration of where power lines will be located. As a result of the public consultation, careful attention is paid to impacts on biodiversity and natural resources. Many power lines are now being buried, in part as a result of strong opposition in southern Germany, even though they are as much as nine times the cost of overhead lines. In response to a question, Rottmann did not have available what percentage of power lines are now being buried underground. Another interesting development is that while previously developers and financial lenders used to have the power to decide many planning issues, most have now been assigned to Rottmann’s agency. With the public consultation dimension of grid expansion now available, this development would seem critical and helpful. The final presentations for the first Session were by Prof. Dr. Ludwig Krämer, of an Environmental Legal Consultancy in Madrid and a Director of EU Aarhus Centre, ClientEarth, and Ugo Taddei of ClientEarth. Dr. Krämer focused on emissions from diesel cars and, of course, dieselgate, the scandal of how Volkswagen misreported critical data about emissions from its cars. Krämer was the most useful speaker on such an issue as he is well known for his long, respected career fighting to protect the environment and people of the EU, and for his outspokenness. 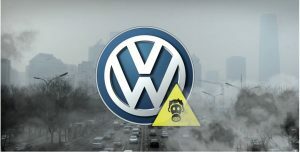 While the attention of dieselgate has been centered on VW, there is accumulating evidence that other EU car manufacturers also falsified reports of emissions. The conduct of the car manufacturers has been notorious and deceptive, and the consequences of the false data has had as yet undetermined health impacts on those breathing noxious diesel emissions. The fraudulent behavior, and associated risks to the public, deserve the clearest and quickest condemnation by EU public officials, and strict, punitive redress. Yet that is not what we have gotten in the EU, as Krämer makes clear. The US Environmental Protection Agency and other US law authorities, have taken aggressive enforcement action, with criminal proceedings against the manufacturers and some employees, and have imposed billion-dollar fines and penalties. Compensation is also being paid to owners of affected cars in the US. Meanwhile the EU is dragging its feet. Member States with home-grown car manufacturers seem reluctant to punish the car makers — large, wealthy employers with aggressive lobbyists — for any fraud or air pollution, and few judgments have been entered against VW or the others. As of March 2017 there had been no fines or penalties against VW. In response to a question as to why no action had been taken by public authorities, Krämer stated simply that authorities had vested interests in protecting car makers. Krämer pointed out that car makers are able to choose which Member State approves each of their car models, and some MS are more lenient than others. These approvals apply to all MS, and the approving MS earns considerable fees for its work. The regulatory regime in the US, according to Krämer, offers stronger protections and harsher penalties than EU law. For example, there is less regulatory oversight by EU authorities over car makers and the operation of the cars once sold, and criminal sanctions can be brought against corporations in the US but not in the EU. While Krämer rightfully points out how much more aggressive the US authorities have been against VW, it should be noted that the relevant US authorities were the EPA and Justice Department under President Obama. We likely would not get similar actions by those same agencies under President Trump. Krämer returned to the risks created by VW’s actions and pointedly ended with a few stark statistics: that the damage caused annually by air pollution in the EU is 430,000 premature deaths and €23 billion in economic loss. Ugo Taddei, also of ClientEarth, reviewed the current status of regulations under the Clean Air Directive, including in particular the Limit Values for PM10 and NO2, and recent court cases on air pollution. Taddei covered cases before the European Court of Justice establishing the right to clean air and the right of citizens and NGOs to sue under air quality plans in national courts, including the well-known and on-going litigation by ClientEarth against the UK government for failing to comply with EU air laws. He also discussed cases that establish the right for litigants to demand that competent authorities consider bans on diesel cars and that place the burden of proof of adequacy of air quality plans on the competent authority, not any litigating NGO. Finally, Taddei reviewed the new National Emissions Ceiling Directive and its strengths and weaknesses. In response to a question from the audience, Taddei pointed out that diesel vehicle makers get a lot of protection in part because trucks, rich cars, and farming tractors all run on diesel. The afternoon session focused on the current controversies surrounding the attempts to create large-scale multi-national trade agreements such as CETA and TTIP, respectively between the EU and Canada and the EU and US. Roman Pinösch, an environmental lawyer from Paris, provided a comprehensive discussion of the origins and development of investment protection laws and policies in the EU, and then the role of environmental protection in the EU trade and investment policies. Franz X. Stirnimann Fuentes, a private lawyer from Geneva, began his analysis of the recent trade agreements by explaining the underlying rationale behind these agreements: an attempt to require international arbitration in business dealings between companies and countries so as to protect against expropriation of foreign company assets, or unfair dealings, by governments. The governments can and have sometimes taken over private mines or oil fields, or indirectly imposed new, exorbitant taxes on foreign companies. Fuentes specializes in international arbitration and dispute resolution so many in the audience assumed he tended to side with the large corporations. But he made it clear that he saw the legitimate and deep concerns that the trade agreements have shifted the balance so that private investors, and companies, are now overly protected and have taken to aggressively use such trade agreements to intimidate governments from passing stringent environmental laws. He also saw the concern that private adjudications by private lawyers serving as arbitrators was deeply troubling to environmental groups and civil societies. Interestingly Fuentes, using recent case law, demonstrated that there is a shift to now protecting the authority of governments to regulate keys areas of law, including environmental, without interference from private investor lawsuits. Courts are paying heed to preambles in such trade agreements that state that the trade agreements will not affect strict environmental or health laws, existing or to be passed. 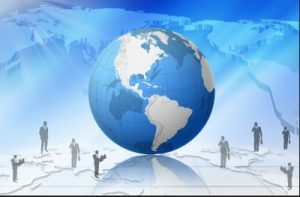 In addition, courts are holding that the precautionary principle and Rio Declaration are firmly set by international law and must be adhered to in any dispute between foreign companies and countries. Moreover, the constitutional laws of a country are entitled to deference in such disputes. Finally, Fuentes suggested even that these latest developments whereby companies are bound by controlling environmental laws and principles can be useful in certain countries in helping to apply the same standards to recalcitrant domestic companies. On the second day the conference presented an overview of the 2014 Amendment of the Environmental Impact Assessment Directive and then a round table discussion of the institutional mechanisms for quality control and judicial review of EIA reports. The discussants from Poland, France and Bulgaria contextualised the EIA Amendment with analysis of the international law out of which the EIA grew, the origins and development of the EIA in EU law and jurisprudence, and the progress, or lack thereof, of the transposition of the Amendment by the Member States. · transposition is due by May 2017 and there are numerous issues that still require clarification, including the relation between the EIA and SEA, EIA procedure in pan-EU projects and projects with cross-border impacts, compliance with the Aarhus Convention, and what constitutes “reasonable” alternatives. An imaginative approach to this problem with experts was found in the engaging presentation by Anders Bengtsson, a Presiding judge in the Land and Environment Court in Växjö, Sweden. He discussed the system in Sweden for handling EIA and other environmental disputes, and the issue of relying on expert consultants. Sweden has five environmental courts and a section of the appeal court that handles environmental cases. Such disputes often turn on fairly technical determinations, and on the accredited experts in the relevant fields. As a result Sweden appointed “technical” judges who assess the science and technological issues. They are without legal training but work along with law judges on environmental cases. There are 11 law-trained judges and 11 “technical” judges. Cases are adjudicated by the law judges. On occasion there are specially appointed “Layman judges” who assist the court, often from state agencies or sectors relevant to the case. Bengtsson walked us through the various stages in a permit case. The application for a permit, including any EIA, is delivered to the court and processed there. Relevant authorities and concerned private parties can make statements about the application, followed by a public hearing and often a site visit. 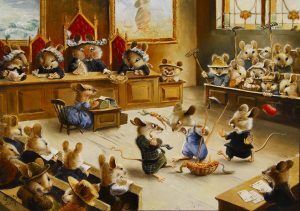 The court then deliberates in private and delivers its judgement. While the procedure mainly relies on written submissions, in permit cases judges can assume a very active role and act as inquisitors — called the Ex Officio Principle. They can ask questions to clarify any uncertainties, have an oral hearing or visit the site, require the operator to make additional investigations or appoint an expert (the operator pays). At times the process can become quite informal with wide-spread participation. In the question and answer period, one issue that attracted a good bit of attention, from Ludwig Krämer and others, is the on-going dispute over the UK nuclear project at Hinkley where the UK government has denied that other countries have any participatory role in the permitting and EIA process. Several countries have expressed interest in participating. There are open questions as to whether the Aarhus convention provides access to the Hinckley EIA by other countries or whether there is access through the UN Espoo Convention (on cross border impacts from environmental projects) or the EIA. The final session was a review by Dr. Christoph Sobotta, Chambers of Advocate General Juliane Kokott, Court of Justice of the European Union (CJEU), on recent case law development on access to courts in environmental matters and related topics. Dr. Sobotta provided a concise and thorough analysis of the facts and law in a variety of recent cases. For example, in a case from the Slovak Republic, the Court found that under the Aarhus Convention public participation in an assessment under the Habitats Directive is obligatory and environmental NGOS have standing to challenge the outcome of any such assessment. In a case involving the development of Antwerp Harbour, the Flemish government decided that the site would not be significantly affected under the Habitats Directive because new habitats in other areas of the site could substitute for any impact. The Court reasoned that adverse effects on the Natura 2000 site were certain, that any benefits from creation of new habitats were uncertain, at the time of the assessment, and that adverse effects on the integrity of the site could not be excluded. Dr. Sobotta acknowledged that it remained uncertain whether the same result would follow any assessment completed after the sustainable development of new habitats. 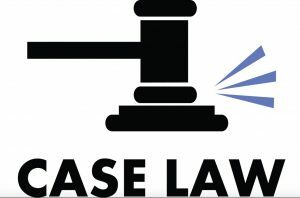 Also covered were cases on access to information on the authorization of a pesticide under the Directive on access to environmental information, and on claims about confidentiality of information submitted under REACH. Finally several recent cases on climate change were discussed. These cases typically involved very technical interpretations on calculating the cap on emission rights, what constitutes an “installation” for purposes of CO2 emissions, and similar issues. But Ludwig Krämer and others will be around to remind us that there are times when we need to bring out the old-fashioned enforcement hammer, as with dieselgate and recalcitrant governments that fail to address air pollution and other high risks. At the same time, there does seem to be some movement, in some areas, towards more inclusive public participation, as in distributed or community based energy systems (and objections to even renewable energy projects without community input), broader use of the EIA, and wider recognition of citizen rights to contest what governments and developers are doing or not doing.